Today is the last of the 4th birthday parties this week – there has been a bit of a run of them. We have a break now for a couple of weeks then it starts up again (my kids have a better social life than I do!!!) I hope you’re enjoying all the kids themed cards. Sophie is 4 today and celebrating her big day with a garden fairy party. 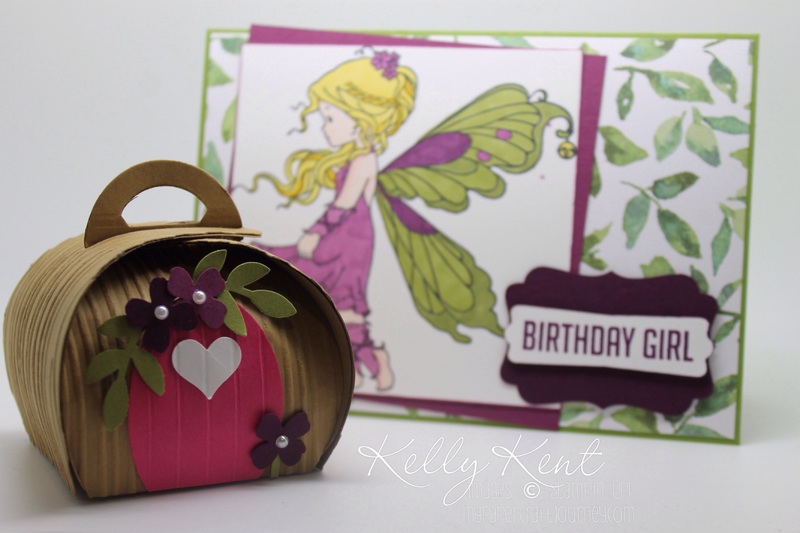 Her mum is one of my most lovely handmade supporters and asked me to make a fairy card for her birthday. Now, whilst Stampin’ Up! have lots of great stamps, there wasn’t anything ‘fairy’ in the range that suited the vision in my head. So, I shopped a little further afield (not something I do often!) and bought the Silver Fairy from Whimsy. She’s very cute and perfect for colouring with Blendabilities! I’ve been stocking up while Sale-A-Bration is on – there are 12 free colours to chose from. 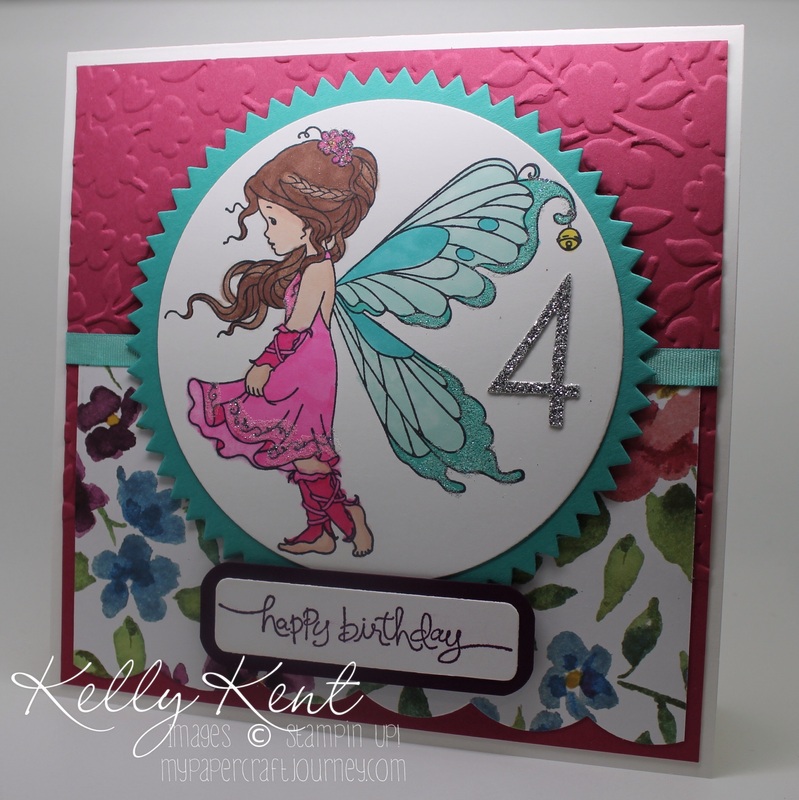 This fairy is coloured with Melon Mambo & Coastal Cabana. I was also able to use products from the Painted Blooms range in the Occasions 2015 catalogue – DSP & embossing folder. 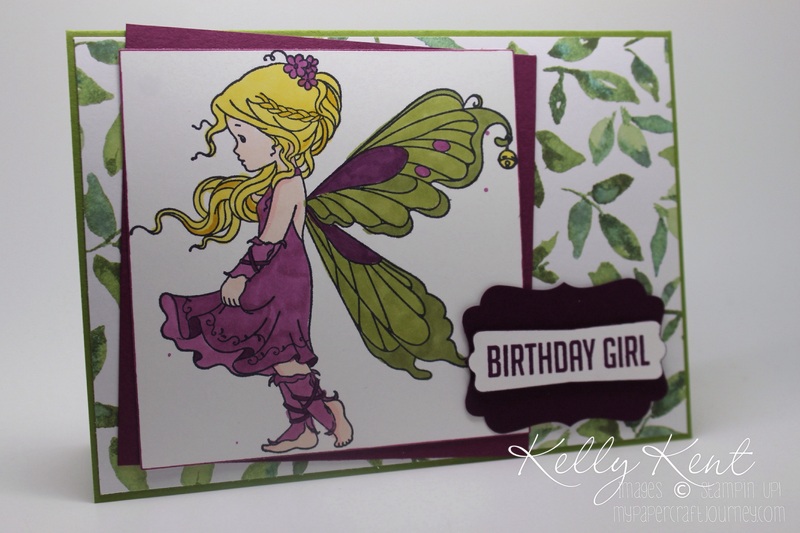 My card for Sophie also uses the Silver Fairy, coloured in once again with Blendabilities – this time a blonde fairy in a Rich Razzleberry & Old Olive theme. More Painted Blooms DSP and first inking of ‘birthday girl’ from the Hooray It’s Your Day Stamp Set. You can’t see it in the photo, but there’s a stunning butterfly on the inside [no room on the front, but I couldn’t leave it out!]. 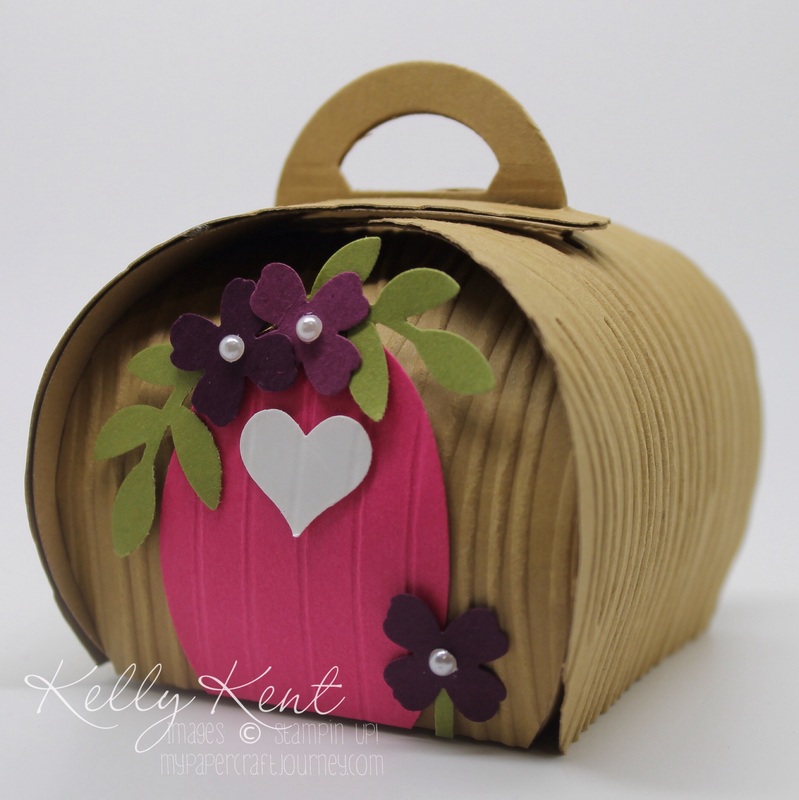 And of course, a Fairy Garden Cottage Curvy Keepsake Box to match the theme.